Snowmobile, ATV, Fish, Hike, Hunt, and Relax in the Outdoors! 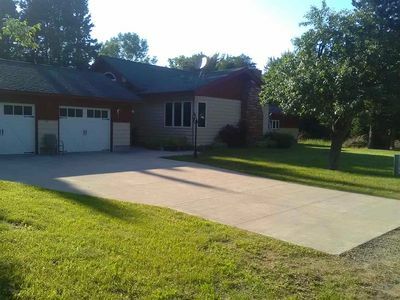 Newly renovated house located on 150 acres of private land immediately adjacent to the Snowmobile/ATV trail. Located approximately 1 mile from the Parkview Inn restaurant/tavern and local gas station in Twin Lakes, MI. This property is both close to vacation hotspots and at the same time offers a quiet getaway for those seeking some R&R. 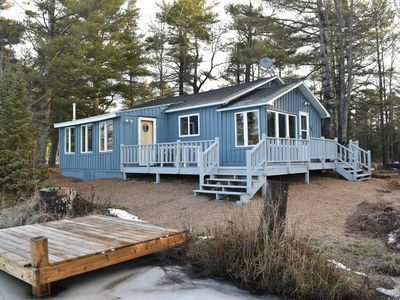 Vacationers will find the property halfway between the Porcupine Mountains and the Keweenaw Peninsula! 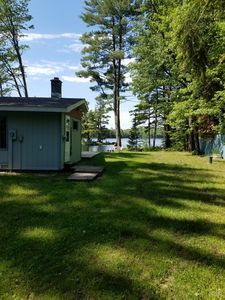 The property itself is adjacent to thousands of acres of State Forest land and even contains its own private access to a first class brook trout stream and a headwaters pond full of brook trout! Hunters are also welcome to explore the ruffed grouse and plentiful deer inhabiting the property. Hikers and adventurers will find the abandoned mine sites and clear stream running through old growth timber second to none! Located within miles of several first class area fishing lakes! New sauna provides guests a classic Finnish feel! Also features a washer and dryer along with plenty of room to dry outdoor clothes after a long day enjoying mother nature. The garage is available for parking your snowmobiles, atvs, boat, or vehicle!